Facebook on Wednesday said it will help people see if they liked or followed posts considered part of a Russian effort to meddle with last year's US election. 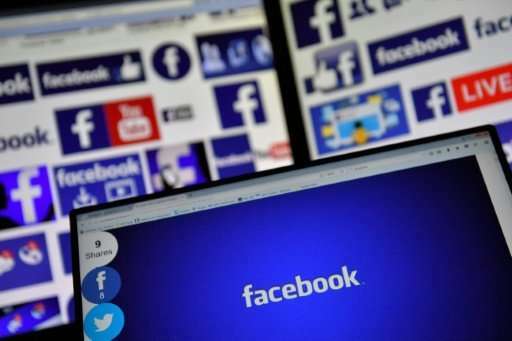 A software tool to be released by the end of this year will allow users to see whether they engaged with Facebook pages or Instagram accounts linked to the Internet Research Agency between January 2015 and the August before last year's presidential election. The agency is seen as a Russian resource for spreading propaganda online. "It is important that people understand how foreign actors tried to sow division and mistrust using Facebook before and after the 2016 US election," the leading online social network said in a blog post. Creation of the new tool comes in the face of Congressional pressure on Facebook and other internet giants to let users know if they were exposed to Russian propaganda prior to the election. Google, Facebook and other tech firms joined global news organizations earlier this month in an initiative aimed at identifying "trustworthy" news sources, in the latest effort to combat online misinformation. Microsoft and Twitter also agreed to participate in the "Trust Project" with some 75 news organizations to tag news stories which meet standards for ethics and transparency. Google, Twitter and Facebook have come under fire for allowing the spread of bogus news—some of which was directed by Russia—ahead of the 2016 US election and in other countries. During a quarterly earnings call with analysts this month, Facebook chief executive Mark Zuckerberg addressed criticism over allowing disinformation and manipulation during the US presidential election, just hours after the company's top lawyer faced a grilling at a Washington congressional hearing. "Our community continues to grow and our business is doing well," Zuckerberg said. "But none of that matters if our services are used in ways that don't bring people closer together. Protecting our community is more important than maximizing our profits." Facebook told Congress that the apparent political meddling included use of its image-sharing application Instagram. The data on Instagram is on top of the estimated 126 million Americans exposed to Facebook posts from Russian entities seeking to create divisions during the election campaign. "I've expressed how upset I am that the Russians tried to use our tools to sow mistrust," Zuckerberg said earlier this month. "What they did is wrong and we are not going to stand for it."